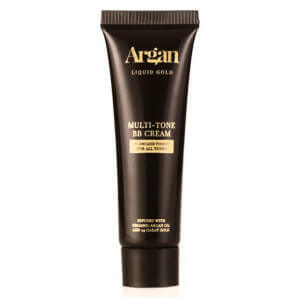 Refresh your complexion with the Gentle Exfoliating Cleansing Cream from Argan Liquid Gold. Utilising natural Alpha Hydroxy Acids (AHAs), the cleanser gently buffs away dead, dull skin cells without over-drying or uncomfortable tightness, revealing a brighter, smoother appearance. Infused with organic Argan Oil and 24 Carat Gold, its luxurious formula delivers a deep pore cleansing action, dissolving impurities and renewing skin to leave it radiant, hydrated and touchably soft. You can expect a youthful-looking complexion with a luminous glow. Apply the cream every 2-3 days to cleansed skin, spreading with a gentle circular massaging action. Leave on for 4-5 minutes and then wipe away with a tissue/cloth or rinse with warm water. It is important to remove all product residue to lift away dead skin cells and impurities. Aqua, Argania Spinosa Kernel Oil, Cetearyl Alcohol, Cetearyl Glucoside, Caprylic/capric triglyceride, Glycerin, Avena Sativa Meal Extract, Nylon-12, Citric Acid, Tartaric Acid, Lactic Acid, Butyrospermum Parkii, Dimethicone, Betaine, Glycerin, PEG-100 Stearate, Glyceryl Stearate, Colloidal Gold, Phenoxyethanol, Lecithin, Polyacrylate 13, Polyisobutene, Polysorbate 20, Parfum, Ethylhexylglycerin, Disodium EDTA, Limonene, Citral, Linalool, Hexyl Cinnamal.